Home > Secteur-English > General > Israel, Africa is no longer under guardianship. Israel, Africa is no longer under guardianship. The explosion of joys among some Arab countries during the postponement of the Lomé summit would make one think that all hope is lost. Africa often hears shameless lies from Arab countries claiming that the presence of Israel in Africa would greatly disadvantage these countries on the continent. Ramallah would also be concerned about the change of the attitude of the African States towards the Hebrew State. Africa is no longer a continent under tutelage. So much bad faith, lies and demagogy deserve nothing but silence. To raise it would be to do too much honor to the adversaries of Israel. In fact, competition from Israeli companies frightens the Arab countries and Pretoria, especially, it would bring undeniable know-how in the field of security and intelligence. An area where African countries are actively seeking appropriate solutions since the (Arab) jihadism, precisely because of certain protectors of Palestine, is wreaking havoc on the continent and delaying development. But despite the opposition of Algiers, Rabat, Tunis and Pretoria, the Israeli African institutional and economic system is irreversible and has the support of the majority of African countries : Rwanda has declared itself to be the great advocate of geopolitical, security and economic interests of the Hebrew State. 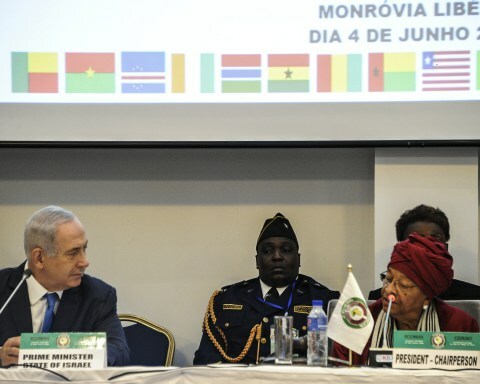 Liberia, a historic platform for international Zionism, whose capital Monrovia where the last ECOWAS summit was held in the presence of Benjamin Netanyahu. Ethiopia, now a non-permanent member of the UN Security Council. Senegal, Congo DRC, Cape Verde, Togo ...The primary objective of several African countries is to normalize their relationship with Israel.